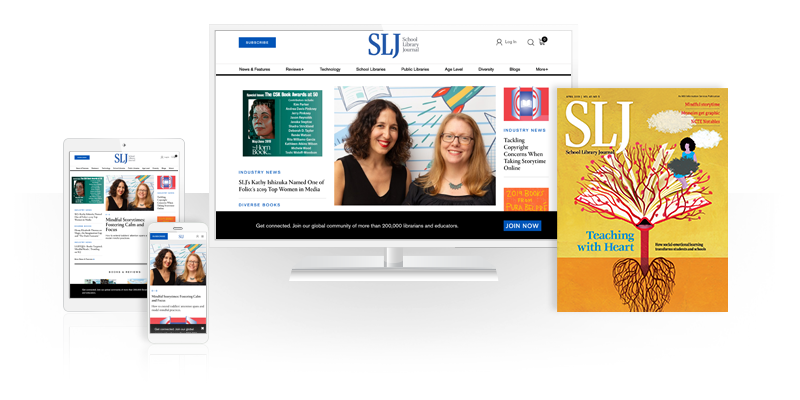 School Library Journal School Library Journal | VR Use Should be Minutes, Not Hours. New Study on Kids and Virtual Reality Advises Parents, Educators. School Library Journal | VR Use Should be Minutes, Not Hours. New Study on Kids and Virtual Reality Advises Parents, Educators. VR Use Should be Minutes, Not Hours. New Study on Kids and Virtual Reality Advises Parents, Educators. A new report addresses the potential impact of virtual reality on kids' cognitive, social, and physical well-being. Virtual reality (VR) is the purported next big thing, poised to impact education. But how does the technology affect children? VR is likely to have a powerful effect, with virtual experiences functioning less like media engagement and more like actual experiences, especially for children, according to a study by Common Sense released today. While interest is high—notably driven by kids themselves—the long-term effects of immersive VR use on still-developing brains is largely a mystery. It’s an interesting time for parents and researchers alike. 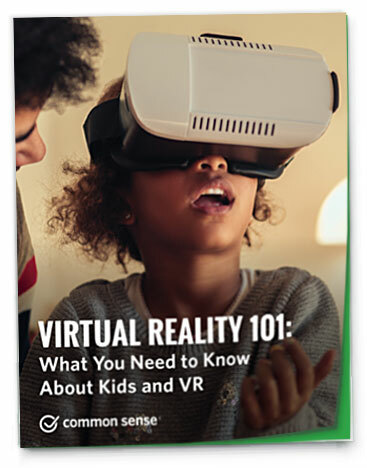 “When it comes to VR, we just don’t know all that much,” writes Jeremy Bailenson, a co-author of the study “Virtual Reality 101: What You Need to Know About Kids and VR,” in a preface to the results. Founder of the Virtual Human Interaction Lab at Stanford University, Bailenson admits to uncertainty about what’s appropriate for his own children, ages three and six, in terms of media use. He struggles with how close is too close to sit by the TV. Add VR, “and we find ourselves in a foreign landscape,” concludes Bailenson. While further research is needed, the report from Common Sense, a nonprofit focused on kids’ media and tech use, offers guidance on VR use based on what we know thus far. Given the intensity of the experience and the particular effectiveness of the illusion of VR on children, moderation is recommended. “Instead of hours of use, think in terms of minutes,” counsels Bailenson. “VR is meant to be done on the five- to 10-minute scale.” When it comes to choosing VR content for their kids, parents should keep in mind that intensity factor. Adults may give the thumbs up to familiar games the family has played on a traditional console, such as a first-person battle simulation. But that same game in VR would likely be perceived by a child as an actual experience, which could be more frightening or even anxiety-producing for young kids. Ask: Would this activity be something you would want your child to do in real life? That’s a primary consideration before purchasing or engaging with VR media. Even traditional media can foster “psychological presence,” the sense of being there, when a user believes they are having an actual experience—we’ve all gotten lost in a book. But nothing compares to the experience of VR. The powerful effect can encourage empathy in children. When a child can take on a different perspective in the form of a virtual avatar, it can help diminish racial bias, according to 2013 research. Engagement with characters in VR environments can also help children develop positive social skills, which can then be exercised in the real world. Not surprisingly, characters they meet in VR could be especially influential on young users. In one study, children aged 4–6 engaged with Sesame Street’s Grover in two formats, VR and a two-dimensional screen, with VR Grover emerging as more liked by kids than the screen version. While friendship on Sesame Street would seem a benign effect, the potential for encountering a bad or manipulative influence on VR is clearly something to look out for. Moreover, there are privacy risks inherent in the technology, with the potential for VR to be the conduit for collecting data on users, including through eye tracking and other physical movement. Thanks for writing this, I will totally check out that report. I have always been personally weirded out by VR...however I recently accepted a new position as a youth technology librarian in a library that already has 10 Google Expeditions. There are pre-planned programs on April 30th for grades K-3 and 4-8 with the Expeditions (both sessions are 1 hour in length). I'm interested to see how those kids interact with them. They give me strange motion sickness feelings though so I am still not the biggest fan. I am way more interested in the educational capabilities of what Google is doing with AR. There is no doubt that virtual reality is going to have dominance, at least in some space. The study has a valid pint about its affect on kids. As VR devices give more realistic experience, they can change shape of developing minds.